For some reason, we humans have always been fascinated with the idea of piloting mechs, whether in anime, film, or video games; we love to see giant mechanical contraptions engage in combat on our behalf. Perhaps it stems from the fact that we’re insecure about our own morality and have found a way to overcompensate, or maybe it’s just because big robots with guns and swords are very cool. Either way, it’s been far too long since we’ve seen a new mech combat game that shows as much promise as Daemon X Machina, an upcoming action shooter developed by Marvelous Entertainment. Produced by Armored Core veteran Kenichiro Tsukuda and featuring mech designs by Shoji Kawamori, the game looks to be the spiritual successor fans have been wanting for quite some time. However, there are still some key differences that make Daemon X Machina stand out from its predecessors. 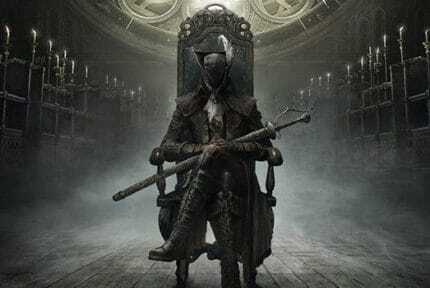 So we’re here to cover everything you need to know before the game releases later this year. Make sure to check back as we’ll be updating this story in the future. Daemon X Machina was first revealed during Nintendo’s E3 2018 presentation, where it was given a 2019 release window. Although a recent update via a Nintendo Direct narrowed it down to ‘Summer 2019’, we still don’t have a confirmed date. With a bunch of first-party games slated to release around that time, we’re hoping Nintendo gives Daemon X Machina the space it needs. The game is being published by Nintendo as a Switch exclusive. The game has you playing as a mech pilot whose planet is on the brink of chaos after a collision with the moon causes all artificial intelligence to turn on mankind. In order to deal with the AI threat, a team of highly skilled mech pilots called The Outers is formed. As a member of The Outers, it will be up to you to prevent the AI from taking over and ensure the survival of mankind. In order to do so, you’ll need to harness the power of your Arsenal, a specialized mech suit equipped with deadly weaponry. Although the story set-up is a bit cliché, anything that gives us an excuse to blow up rogue AI is always welcomed. What good is preventing an AI robot invasion if you can’t look stylish while doing so? Fans of Armored Core will remember how much fun it was to customize your mech with different attachments and change its colors. However, those games never did a great job at letting you form a bond with your actual pilot, something that Daemon X Machina is looking at from a different approach. The game includes pilot customization, allowing you to name your pilot and choose from different hair styles/colors, skin tones, eyes, face shape, and many more aspects of their appearance. This gives players more ownership over their character and will no doubt result in plenty of anime-looking pilots with colorful, spiky hair. We just want to know how they plan to fit it all under that helmet. As you’d expect, Daemon X Machina also includes mech customization, allowing players to attach multiple types of weapons to their Arsenal and change the color of each armor piece between missions. Additionally, the game includes different decals and patterns that can be placed on your mech to make it feel truly unique. 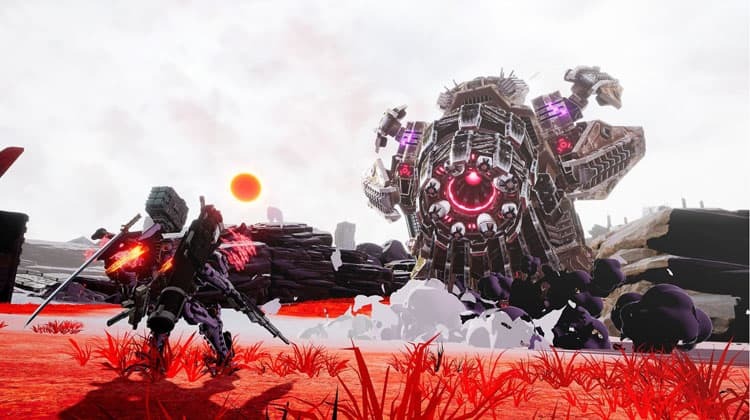 Daemon X Machina has you taking on an array of enemy turrets, tanks, and other mechs that seek to destroy humanity. Your Arsenal can be equipped with a multitude of different guns, missile launchers, swords, and shields which are attached to either one of its arms or shoulders. You can also bring extra weaponry on your back that can be swapped in mid-battle. Combat is both flashy and fast-paced and sees you battling enemies from all directions. The game features a lock-on system that makes targeting while moving much easier, as you’ll constantly be flying and running around. Additionally, there are objects in mission environments, such as cars and street signs that your Arsenal can pick up and throw at enemies. The game is very flexible when it comes to traversal, with your mech being able to take to the skies and fly or slide across the ground like a roller-blading hunk of metal. Environments are filled with buildings and highways that can be used for cover, but since Daemon X Machina is all about movement you won’t want to stay in one spot for too long. While both forms of traversal have their uses in combat, gliding along the ground looks the coolest as your Arsenal smoothly makes its way across city streets and patches of desert sand, ducking in and out of cover. Flying looks to be a lot slower, which is probably intended to allow you time to aim up shots. Additionally, your Arsenal has a stamina meter which partially drains each time you perform an evasive maneuver like a dash forward or to the side. 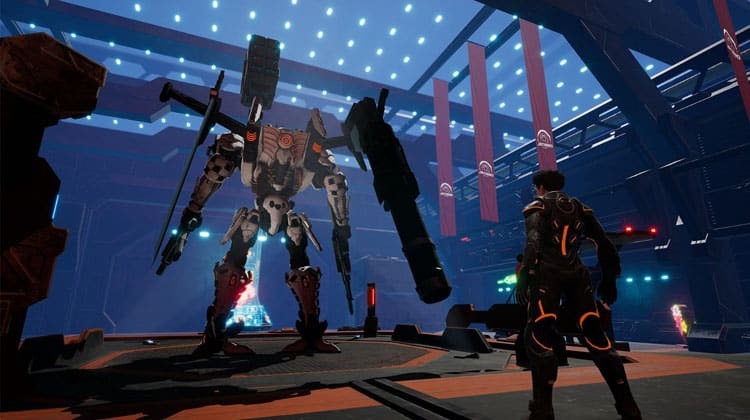 Although mech combat games have always catered to a niche audience, Daemon X Machina has the potential to resonate with a wider group of gamers, thanks to its modern improvements and stunning visuals. Regardless, this is something fans of the mech fighter subgenre have been craving for a long time and we’re hoping it scratches that itch. The game’s combat, traversal, and world all feel like a culmination of Kenichiro Tsukuda’s experience developing the Armored Core series and a sign for where the subgenre is headed in the future. We’re excited to see what action-packed adventures Daemon X Machina brings to the Switch when it releases later this summer. If you’re looking for more upcoming Switch releases to keep on your radar, check out our list for the Best Upcoming Switch Games of 2019.